A Sample of Our Success Stories. Our team responds quickly to every client need and operates with a continuous sense of urgency which is an absolute must to transacting deals in an ever competitive commercial real estate environment. Take a look at some of our success stories and see for yourself how NavPoint can be an asset for you in your real estate needs. We’re currently involved in the exclusive brokerage, ownership, or management of over 2,000,000 SF of commercial real estate covering all property types. Get a complimentary property evaluation. 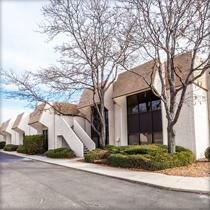 NavPoint was engaged by a Mid-West US lender to sell this 28,000 SF+/- Office asset located in suburban Denver. The challenge with this project was that the property was only 35% occupied at the time of engagement and the Seller had a floor sale price that would require additional NOI to justify exit pricing. Immediately following engagement, the brokerage team was able to source a tenant and finalize a lease agreement for nearly 30% of the property. This additional lease added substantial net income to increase the value of the asset to a pricing level that worked for the seller. The NavPoint Investment sales team following the addition of the new tenant was able to source a strong regional Buyer through their marketing campaign. This buyer saw the value in the new income quickly went under contract and closed within 30 days. 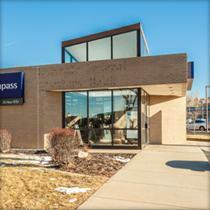 NavPoint was engaged by a regional developer/investor to sell this nearly 40,000 SF fragmented Medical Office condo asset in Colorado Springs. The challenge in this project was the “fractured condo” component of the asset whereas two of the individual units had been sold to Doctor occupants and thus were not part of the sale. Coinciding with engagement on the project the NavPoint brokerage team began a whisper campaign on the asset before it went to market. By leveraging other for sale assets in the company’s portfolio in a national marketing campaign, the sales team was able to generate significant interest from a foreign buyer who put the asset under contract. The Seller was able to achieve their desired exit pricing in a timeframe that exceeded their expectations, allowing them to more quickly deploy their capital into other projects. This 51,000 SF +/- Industrial asset was approximately 40% occupied at the time of engagement which required the leasing and sales teams to coordinate sourcing additional tenants and net income to establish a marketable occupancy and NOI level that also accomplished Sellers pricing objectives. The sales team was able to secure additional occupancy in the form of two tenants that decreased vacancy by nearly 20% while adding additional NOI of over $56,000 and increased asset value by more than $650,000. This additional income created a more compelling marketing story. Prior to the start of a national marketing campaign, NavPoint was able to source a local investor through its client database and get the property under contract. 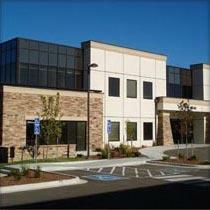 The asset ended up closing within 60 days while meeting the client’s exit pricing objectives. 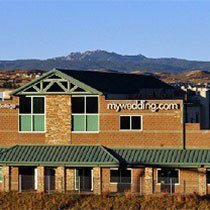 NavPoint was engaged to sell this 9,000 SF+/- single tenant NNN leased bank asset located in Northeast Colorado Springs, Colorado. The challenge with this project was that there were just over 5 years remaining on the lease while the Seller had pricing objectives that aligned more closely with a 10 year lease. The sales team was able to do significant underwriting on the credit and quality of the tenant and through the packaging of the asset, create a compelling story for the marketplace. A significant national marketing campaign was then undertaken on the asset. 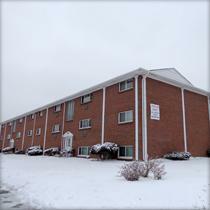 Within days of going to market, there was significant activity on the asset and multiple offers. Ultimately, the sales team qualified a buyer and went under contract at 95% of asking price and closed an all-cash deal within 45 days. NavPoint was engaged to by a local ownership group to execute a sale on their 36 unit multi-family project in Commerce City, Colorado. The submarket historically had been viewed as less than desirable but in recent years had made somewhat of resurgence through re-development. The marketing and sales team completed significant market research to accurately tell the “new story” of the sub-market, while also highlighting the current high occupancy and rental rate upside of the subject asset. A comprehensive marketing package and campaign strategy was completed and undertaken. Within one week of going to market, there were multiple offers on the asset and the sales team interviewed potential buyers. A qualified buyer was selected from a handful of prospects, the property went under contract at 99% of asking price and closed within 60 days of going to market. 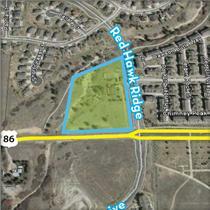 The NavPoint team was engaged by a regional lender to sell this 5 acre mixed use REO land asset in a tough land sales market. There were various topographical and entitlement issues with this asset which would require additional time, meetings, and underwriting by the sales team. The sales team constructed a strong sales package, began a marketing campaign and sourced a strong local developer/investor. The underwriting process for the buyer was shortened significantly with the preliminary due diligence that the NavPoint sales team had completed. Ultimately, the asset went under contract at a pricing level that was acceptable to the lender/seller and closed within 45 days of contract.